When ESL beginners learn to answer questions with positive answers they progress without too much difficulty. 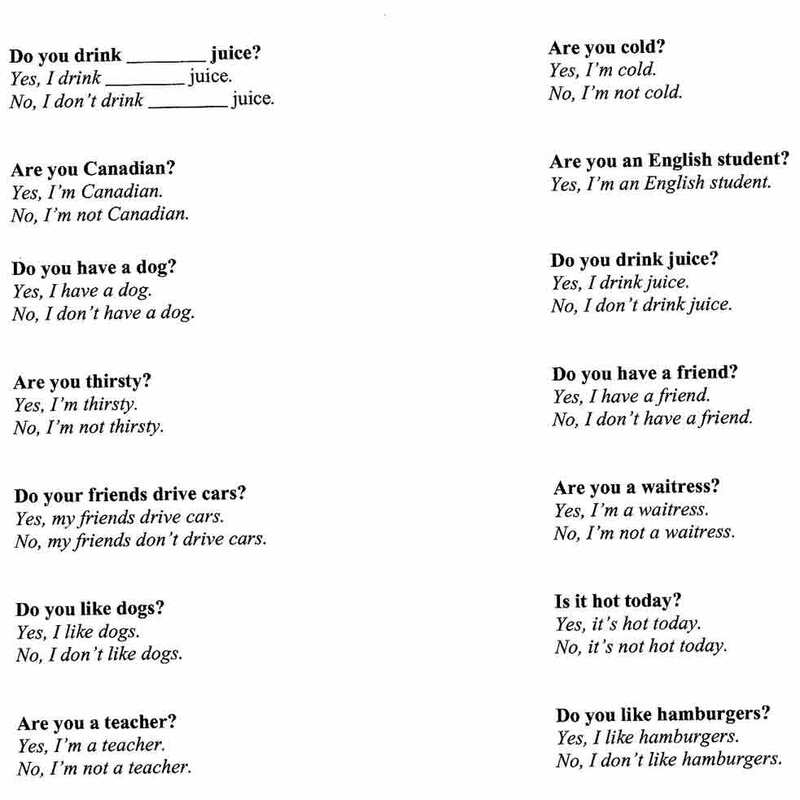 The negative answers, however, are more complex because the pattern is different with the use of “to be” and “to do”. Generally the structure of an answer to a question using “to be” is straightforward, as we can explain that “not” is placed after the verb. Are you thirsty? No, I am not thirsty. / No, I’m not thirsty. Is he hungry? No, he is not hungry. / No, he’s not hungry. I do not walk. / I don’t walk. He does not walk. / He doesn’t walk. They do not walk. / They don’t walk. The students find this very difficult. As this must be taught within the first few lesson of a beginner’s program, it is a problem to explain it to them when their English is so limited. What are some ways that this structure can be presented? – Provide the students with an outline of the negative using “to do”. Divide the class into two teams. Have them ask each other questions that often require negative answers. 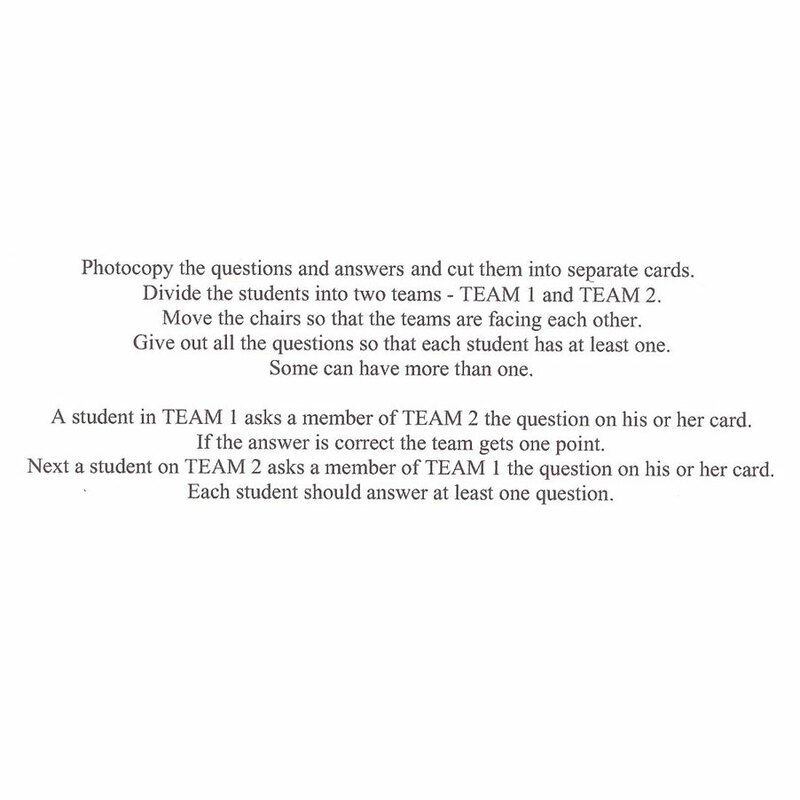 Small Group Activity – Another approach is to divide the class into groups of three or four. Give them a set of questions with the answers written in small print in a box at the side. Tell them to try to find the change in structure. In this way they can check their answers as they work together. This approach will produce a number of questions about the difference in the structure.